The Salone del Mobile.Milano Shanghai is back for the third time. From Thursday 22nd to Saturday 24th November at the SEC – Shanghai Exhibition Center, 123 Italian brands showcase the very latest in “living Italian-style,” highlighting the inherent imagination, creativity and original manufacturing quality that has always made Italy’s furnishing sector stand out. 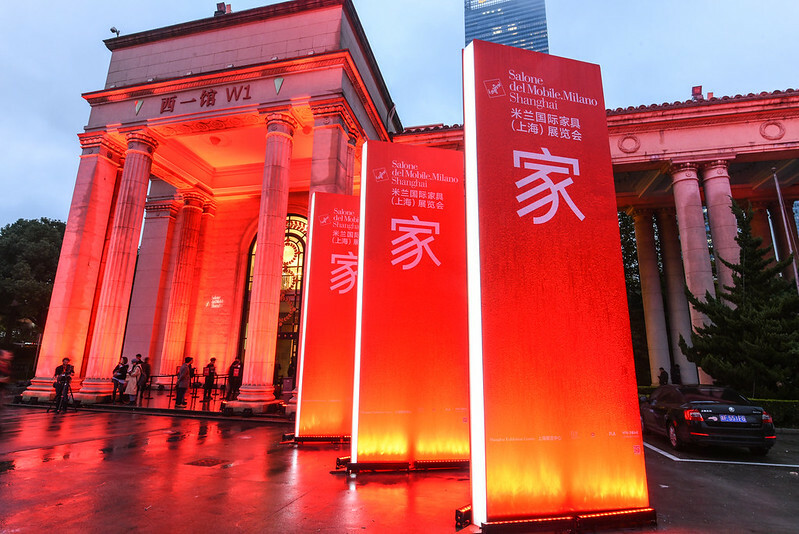 The more than 20,000 extremely high-profile visitors to the previous edition of the Salone del Mobile.Milano Shanghai and the numbers of professional visitors to the Salone del Mobile in Milan, at which China is the best-represented foreign country with over 34,000 attendees, are proof of China’s interest in Italian manufacturing. Manufacturing that has always been prized for its aesthetic and technological value, for its traditional craftsmanship and for the ability of Italian companies to come up with solutions in the round (from individual products to entire furnishing solutions and client service). Design (76 brands) – products that are functional, innovative and good-looking. xLux/Classico (47 brands) – products that harness both classic elegance and contemporary design. It’s not all business at the Salone del Mobile.Milano Shanghai, however. Once again the event aims to further the exchange and sharing of knowledge and visions, with didactic interventions by leading international designers. This year’s Master Classes are held by three internationally renowned Italian architects, Michele De Lucchi, Stefano Boeri and Roberto Palomba, in dialogue with three talented Chinese designers, Yung Ho Chang, Liu Yichun and Furong Chen. The Master Classes provide a unique opportunity to find out more about differing yet synergic ideas about the development of the design industry in China and the rest of the world. The event’s cultural programme is further enriched by the debates organised by our partners. SaloneSatellite Shanghai, back for the third consecutive time and charged with expectation and vision, is a talent promotion platform. 39 young Chinese designers and university and design school students showcase work that delves into the relationship between heritage and the contemporary, new technologies and craftsmanship, in an exploration of experimentation, memory, slow design, creative recycling, cross-contamination and digital effects. “The Salone del Mobile.Milano Shanghai is a strategic international appointment, which has grown exponentially thanks to the quality of the exhibition and the interest of a public increasingly aware of and sensitive to the values of design. We are making our return to China’s economic capital with great enthusiasm, in the firm belief that we will be able to further advance what is already a fertile commercial and cultural dialogue between the two countries” said Claudio Luti, President of the Salone del Mobile.